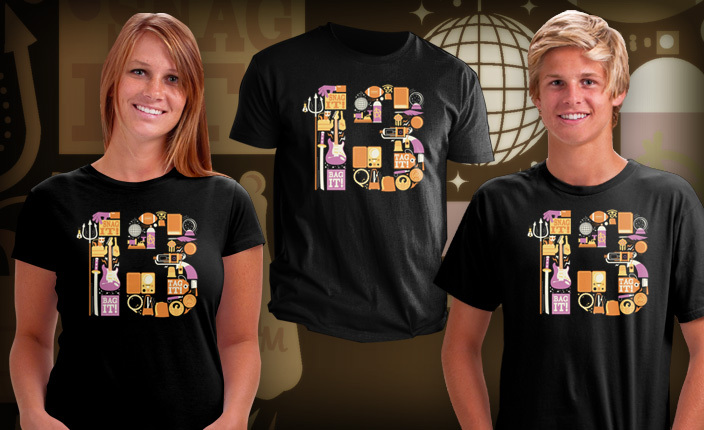 Tonight at midnight, Tuesday 2/28, my "Snag it! Tag it! Bag it!" Warehouse 13 inspired design goes on sale at TeeFury.com for ONE DAY ONLY. 24 hours then it's gone faster than a plate of cookies in Pete's hands. I am a big fan of the show and wanted to do a design that included a bunch of the show's unique elements. Shirts are only $10 bucks, starting at midnight tonight, all day Tuesday 2/28 you can CLICK HERE to snag one. 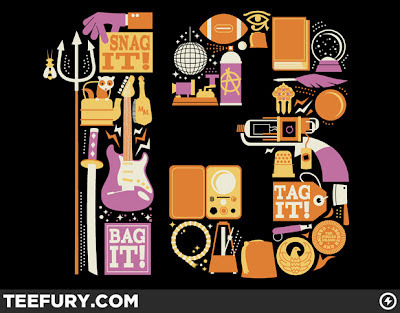 I missed the sale on teefury...is there another place I can buy the Warehouse 13 tee? I need a Missy Med. thanks! Man! I missed this on ShirtPunch! :( Do you have somewhere else I can get this from?